Blue Jays third baseman Josh Donaldson had his locker in Toronto's clubhouse at Rogers Centre cleaned out on Saturday but he insists it's not because a trade is imminent. 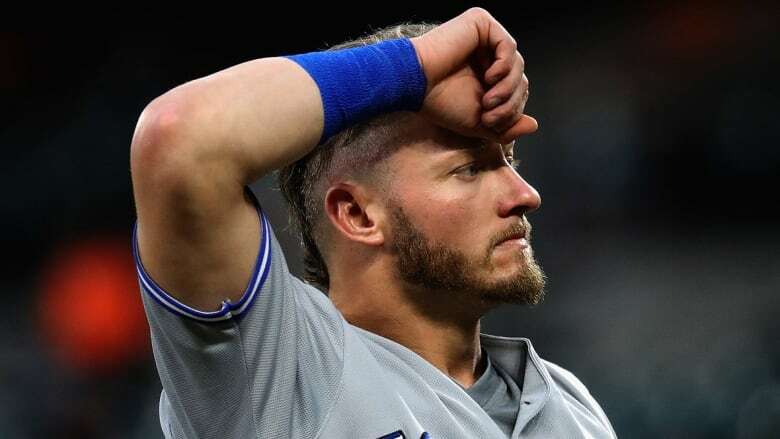 Donaldson, who is working out at the Blue Jays' facility in Dunedin, Fla., with the hopes of returning from a nagging calf injury, put out a statement a day after reporters noticed his vacated locker. "I want to play soon and wanted to make sure I have everything I need to do that," said Donaldson. "So I asked the staff to pack up my locker, then I can go through it." The team would not confirm a report the 32-year-old is set to begin a rehab assignment on Monday. Donaldson has been limited to 36 games this season hitting .234 with five home runs and 16 runs batted in. He hasn't played since May, preventing the Blue Jays from trading him. Toronto could still move Donaldson prior to the Aug. 31 waiver trade deadline. The three-time all-star is in his fourth season with the Blue Jays and is set to become a free agent in the off-season.